It’s a little depressing writing about anything pre-fall, considering it’s still July and I am desperately clinging onto every last summer day we can get before it becomes all cold and wintery again. But it must be done, as the shops are starting to bring in their pre-fall collections and in a month’s time we will all be starting to shop for autumn/winter. 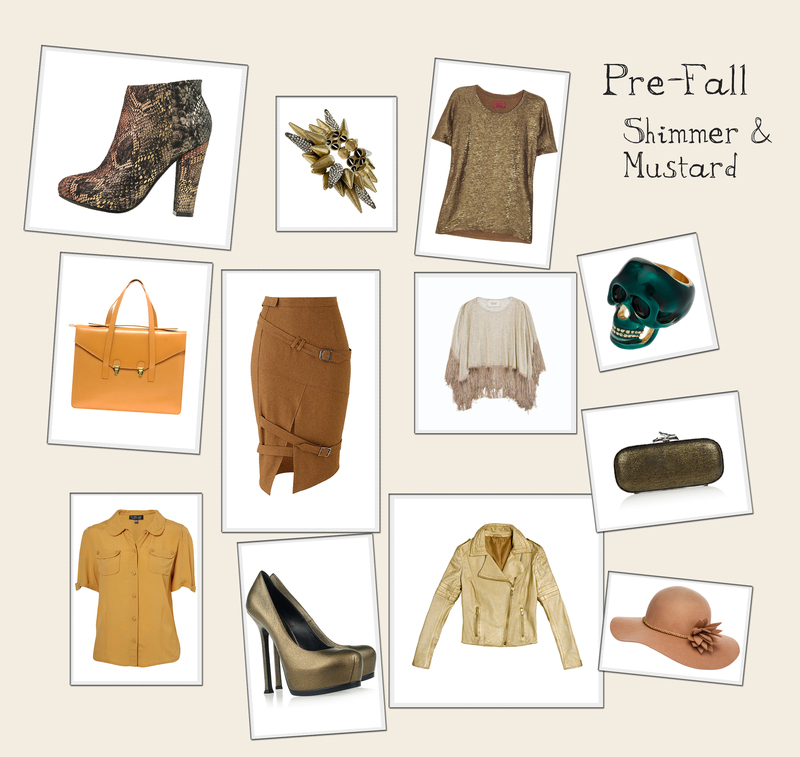 Two things dominating the autumn/winter 2011 collections are glittery shimmer and the colour mustard, an updated take on the colour du jour last winter of camel. I think I prefer the mustard colour as it’s more vibrant, but it really isn’t for everyone. Either way, I had a bit of fun and threw together a fantasy wardrobe incorporating both trends, so have a look what I came up with and let me know what you think.